In my direct experience and interview with a Thai company experienced in exporting products to Russia, we found that there are many problems especially related to language for cooperation and communication between both sides. In my opinion, every international business side should be proficient in English. But this is a different case. But this means that doing business with Russia would be judged according to language among the first considerations. In my opinion, this is closing the door too fast before Russia and any business in the world do business. But why do many countries still care and want to do business with Russia? First, because Russia is the largest country in the world and Russia has an estimated population of more than 146.3 million people. This is a very big customer base and is why one company in Thailand CP has started to invest in Russian agriculture in the amount of $1 billion. - The global economic problems of the EU suffering financial hardship makes imports expensive and the recession that the economy has experiences since 2008 has not recovered worldwide. - Russia is in the early stages of adjusting its economy from a centrally controlled system to a market-oriented trading system. Thus, the Russians still lack experience in the international trading system based on international goods. For example, to import goods, Russian importers pay in full for goods when they arrive, but Russian exporters demand payment in full before shipping out to buyers. It is also noteworthy that Russia’s importers and exporters prefer not to use the Letter of Credit which is a financial instrument in paying products’ price. 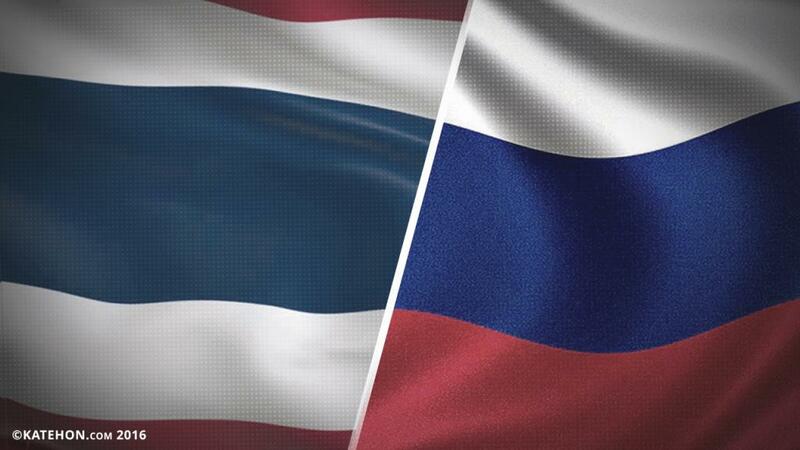 This issue is a major obstacle to trade between Thailand and Russia. In the view of every Thai exporter and importer, this is a very serious risk posed in trading with Russia. 2. Trade policy and customs. - Quotas on imports. This is a very important issue, as when Thai exporters would like to export any product to Russia, they must bring their products to quality tests and pass through an exclusive agency accredited internationally. This increases the cost of exports to be higher than other countries, sometimes totaling more than 35,000 baht per one trip of transportation. - The complexity and delays in the process of customs. This could significantly reduced the value of goods. This lacks a mechanism for expediting the process, including a mechanism to resolve disputes in the case of a conflict with the government. The solution is for a broker service to be used in Russia to help solve this matter, help manage all documents, and prevent cases of illegal imports. Normally, every country in the world allows trade products to use 90% of overall transport at ports, but Russia allows only 55%, with 45% left to transport oil and gas, which will transport by pipeline only. Normally, the transportation of domestic freight from Thailand to Russia will be mostly by sea, as by land it takes more than 3-6 weeks, a very long time. The transport process now involves all products traveling from Thailand to Moscow and St. Petersburg, and only then are all products spread to all of Russia’s regions. This takes a very long time. Russia does not have quality warehouses to keep products, and the price of renting warehouse is also raising every day, which is already very high compared to other European countries (except England and France). Renting a warehouse in Moscow requires around $156 per square meter and in other regions costs around $125. This is expected to increase by 15-20% each year. The opportunistic behavior of warehouse owners makes them increase the rent price capriciously all within a short-term contract of 6-12 months. To avoid this problem, it is necessary to buy warehouses in a central location in the country and avoid short-term contracts. This could mean singing long-term contracts and hiring Russian property companies to hand it, but this process increases costs for both the importer and exporter. The behavior of Russian partners is to order large quantities and accelerate the delivery of the product as soon as possible, which makes Thai exports very uncomfortable given that they sometimes have a rather tight schedules and have other partners or customers, thus affecting the service. This mindset and fast response by the Russian customer or partner can make Thai exports lose Russian customers and partners very easily. Language. Communicating and understanding each other is one of the biggest problems between Thai exporters and Russian importers or partners, because Russia always focuses on the use of the Russian language as the official language. This renders it impossible to easily find out information about the target company in Russia. It is different with America or Europe where discovering such is very easy and communication is already done in English. For the sake of expediency and avoiding misunderstandings, both sides should improve their English-language communication. Thailand does not have a large variety of types of products. Thai products are still not well known to Russia consumers and food products from Thailand still have problems with sanitation issues. I hope my opinions will be helpful for the Russian government or any party involved in this issue of developing and inspiring trade between Russia and Thailand. This could also help Russian companies and governments develop and facilitate international trading, export, and import business with other countries, especially Asia-Pacific ones. Nowadays, the largest markets and the world market overall will shift towards Asia. It is time to move on to Asia, the last land which is still alive and capable of developing. European countries and America are seeing the same thing and shifting their focus to Asia. Russia should also develop and think how to expand their markets and power on the Asia-Pacific market. Russia is revered for its military and nuclear capacity, which are crucial to defending its sovereignty, but it still has progress to make in advancing beneficial economic relations with other countries. These would not only benefit the Russian people, but also help the Russian economy to compensate for the oil and gas that is sanctioned by Europe and America with other business.